Home > Chevy > 1963 > Convertible Misc. 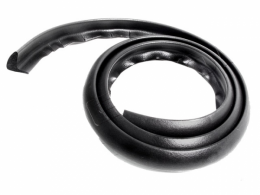 Windshield header seal. Top quality reproduction of original GM part. Seals front of convertible top to top of windshield frame. Sold individually. MADE IN THE USA.